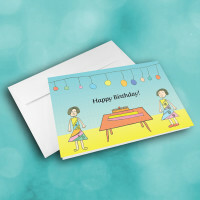 Birthdays are best celebrated with a friend by your side, and this child's artwork birthday card is sure to capture that spirit of camaraderie. 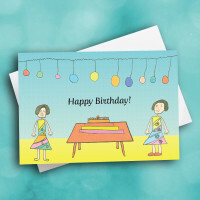 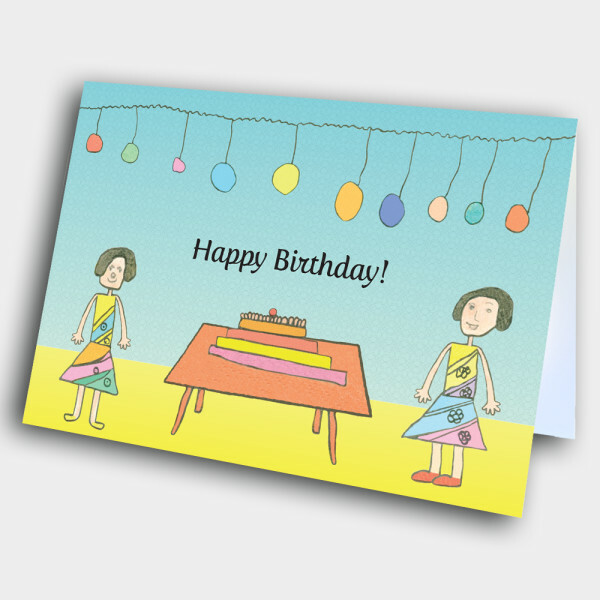 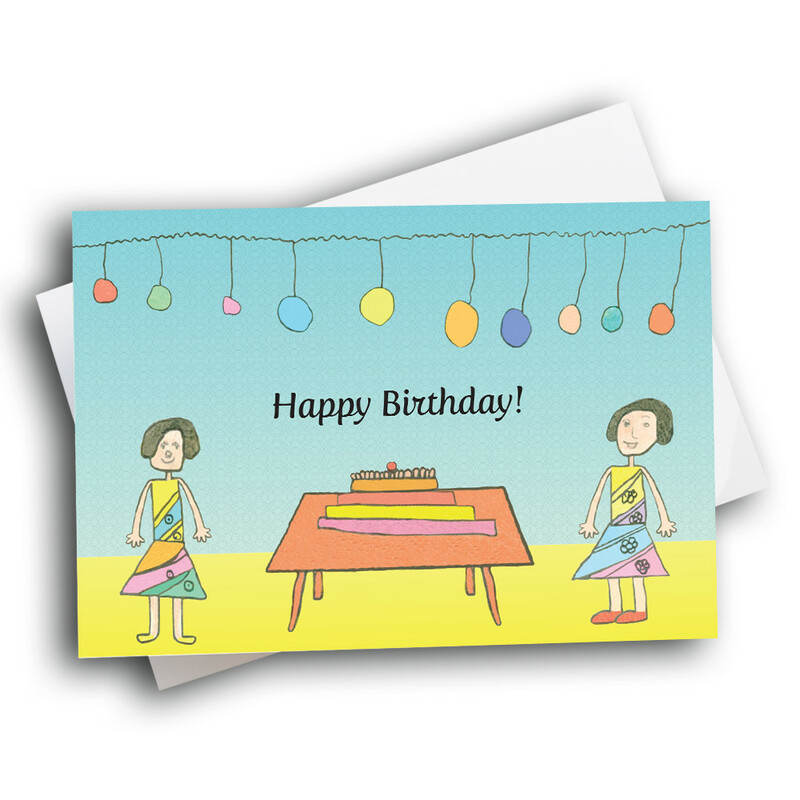 Send your birthday wishes with this unique and artistic card, made from children's artwork. 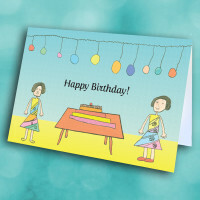 The front is a sweet and simple birthday scene, complete with balloons and a birthday cake, and two good friends. 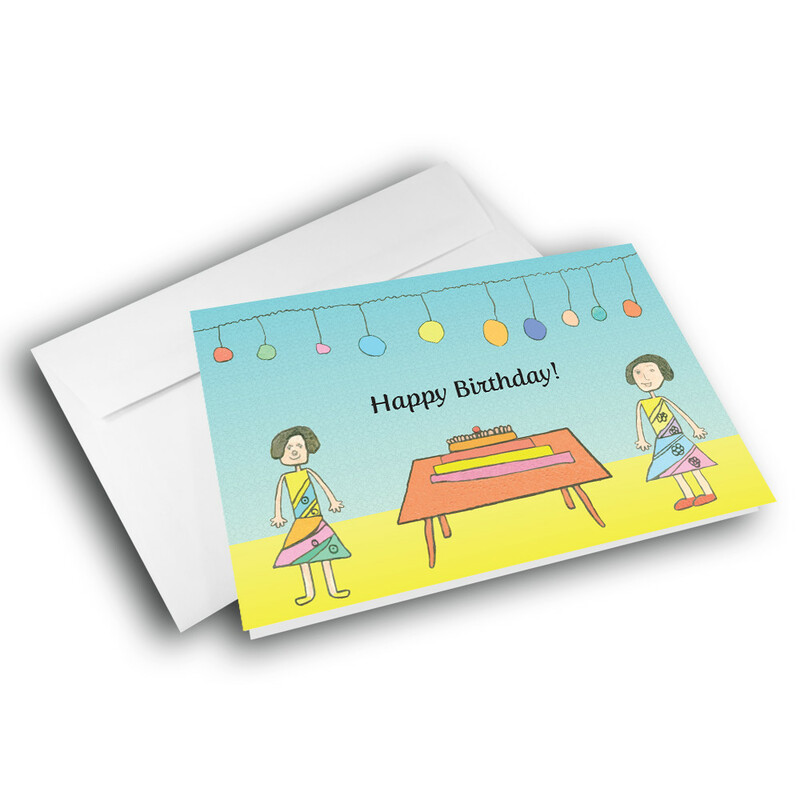 The inside can be customized to add your own personal message, making this card more meaningful.